One of the corporate leadership development forums that I lead focused on a hot topic: organizational savvy. Most of you will know what I mean without a definition. You can tell when someone has it or not. For our group, it centered on understanding the professional culture you are in and working with it - instead of against it - to achieve your goals. It is understanding that 'office politics' is a reality to be dealt with, not ignored or even looked down upon. Event Schedule | Speakers & Keynotes | WITI Hall of Fame | Register Now! The WORLD Café is designed to ignite dialog using everything we've learned about the catalytic process of science and technology to help us identify collective intelligence and co-creativity in order to achieve breakthrough solutions to business/technology challenges. Simply put, the World Café will help each of us network and leverage talent across many cultures, disciplines and generations by bringing together the pioneers of 1.0 with the cultivators of Web 2.0 to explore innovation, collaboration and reinvention. We are fortunate to have Dr. Anne Adams, an authority on organizational transformation, lead the WITI 20th Anniversary Summit World Café. For the first time in WITI Summit history we are happy to announce the Social Media Café - To teach each of us how to better utilize social media to streamline expenditures, develop business opportunities, reach new customers and expand relationships with existing (internal/external) customers and contacts. WITI's Goal for you: Spark creative thinking and implementation of new strategies which has immediate application and benefit to each person's company. Only 31 Days to Go... Click Here for Discounted Early Bird Pricing! Join Us for the 2009 WITI Hall of Fame @ WITI's 20th Anniversary Summit! WITI's Hall of Fame was established in 1996 to recognize, honor, and promote the outstanding contributions women make to the scientific and technological communities that improve and evolve our society. This year's WITI Hall of Fame dinner and awards ceremony, hosted by Shira Lazar of NBC's 1st Look, will be held on Monday June 15, 2009 @ 6:30pm in the Silicon Valley. Don't Miss Out on WITI's Biggest Event of the Year... Register Now! Join Mary Vincent, President of GreenStar Solution, to learn about the Top Green Business Drivers that will improve business operations in the following areas: Water, Packaging, Materials, Climate Change, and Food. What began as a way to use the internet to make new friends and reconnect with old ones has now merged with the business world, with some companies actively promoting employee involvement to raise awareness of their products or services and keep in touch with each other and existing or potential customers. But before your organization embraces the new technology, you need to be aware of the security implications that it brings with it. At this meeting, we'll address the good, the bad and the ugly of using popular social networking tools (Facebook, Linkedin, Twitter, etc.) in the business environment. Join WITI and Sister to Sister in the Fight Against Heart Disease! Help join the fight against heart disease - the number one killer of women. Participate in SCREEN 4 from Sister to Sister: The National Women's Heart Health Foundation. Go to SCREEN 4 and sign up for the free online initiative that encourages women to get screened for heart disease and recruits three others to join them. Log on soon, because for every team of four that signs up by June 30, Sister to Sister will donate one free screening to a woman in need. Attention WITI Filmmakers - ITVFest 2009 Submissions End Tomorrow! The 2009 ITVFest - it is your chance to share your creativity and talent and the only place to get your independent webseries and independently produced television pilots seen. Comedy, Drama, Alternative, Documentary and Webseries. Join WITI @ Disney Keys to Excellence in Tulsa! IMPORTANT: Please use promotional code WITIPNE to receive $50 OFF PER GUEST when registering. Join WITI @ AlwaysOn Venture Summit East in Boston! Click here to take advantage of the 33%-off discount before we sell out! Even as Venture Summit East is about to kick off, we continue to add crucial discussions to our agenda, forming the most comprehensive event for private companies and private-company investors in the Boston region. We'll feature a discussion on the role VC in DC - How can investors and entrepreneurs access the government cash outlay? - and the growing role of non-VC, private-equity firms in backing private companies. Venture Summit East is the top business-development and thought-leadership event - and we hope you will join us! Join WITI @ Disney Keys to Excellence in Memphis! Join WITI @ EOP's™ STEM Diversity Career Expo! EOP's™ STEM Diversity Career Expo is a job fair bringing industry and government together with entry-level and professionals who are women, members of minority groups, and people with disabilities in the Science, Technology, Engineering & Mathematics (STEM) career disciplines. 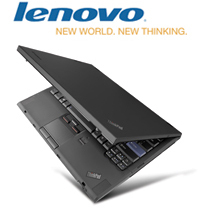 This event will be held on Thursday, May 28, 2009 in Washington, DC at the Marriott Wardman Park Hotel between 10AM and 4PM. The address is 2600 Woodley Road NW, Washington, D.C. 20008. It is a free event to attend and an opportunity to meet face-to-face with recruiters from major corporations and government agencies looking to hire. To pre-register or get more information, go to www.eop.com/stemexpo. This event is hosted by EOP, Inc., publisher of Woman Engineer, Minority Engineer, and Equal Opportunity magazines and has great support from associations and media, including Women in Technology International (WITI) as our Association Sponsor. Join WITI @ CommunityOne West! Join us for three jam-packed days of education, innovation, and exchange. Come together with fellow developers and technologists to evaluate dozens of open-source projects currently powering leading Web companies, transforming enterprise IT, and enabling next-generation computing. Main conference on June 1 is free, but space is limited. Deep Dive tutorials on June 2 and 3 require a fee. Register today! 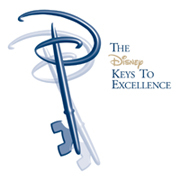 Join WITI @ Disney Keys to Excellence in Pittsburgh!